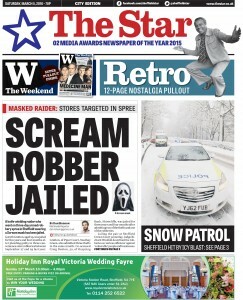 Another front page photo of mine has been published today in The Sheffield Star. The main picture shows the police car blocking the road while the two car pile-up is being dealt with in the background. Nobody was hurt in the fender-bender incident, but the road was closed for over an hour while recovery vehicles struggled in the filthy weather to reach the site of the accident. 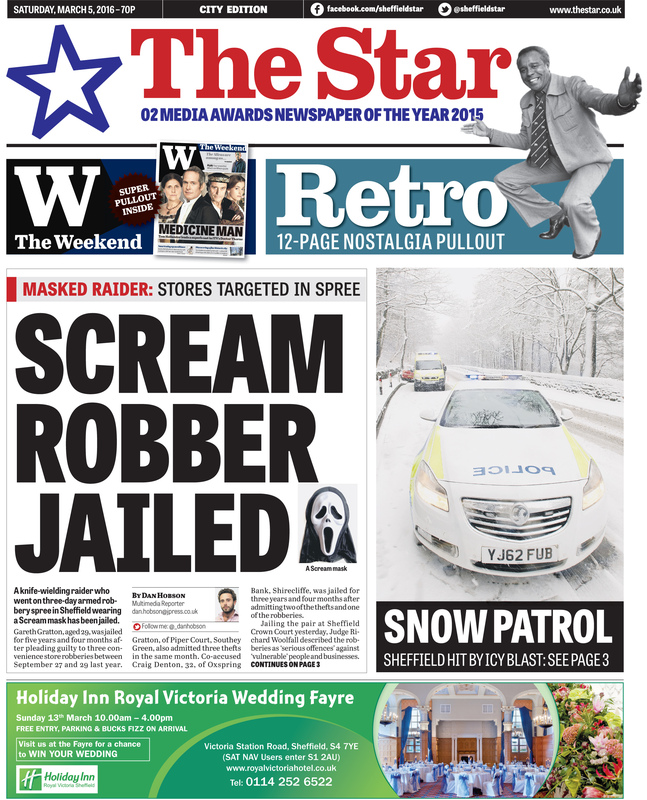 The weather was bad enough to close the Snake Pass, a major artery connecting the two sides of the Peak District National Park, for two days, causing a huge amount of traffic chaos. The unseasonably wintry snap arrived, ironically, on the first official day of Spring. But it provided a lovely opportunity to shoot some lovely snow scenes, which I was out doing when I came across the accident. Serendipity ruled the day! Onwards and upwards! 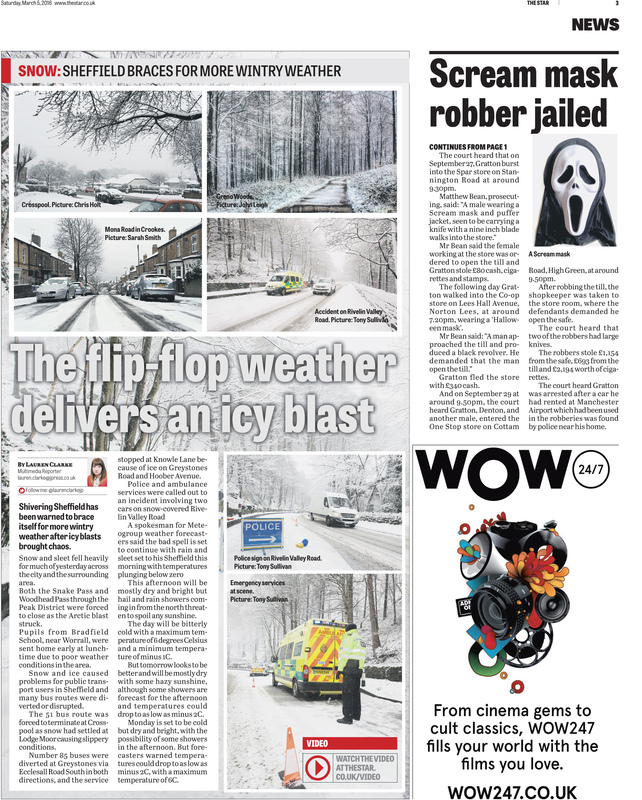 It’s very nice to have full page spreads, and even nicer to have large front page images published. 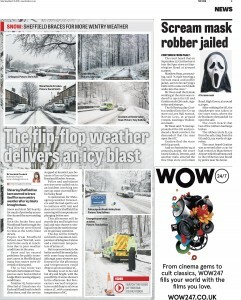 Next, I’d like a another front page photo on a national broadsheet, I think! ?